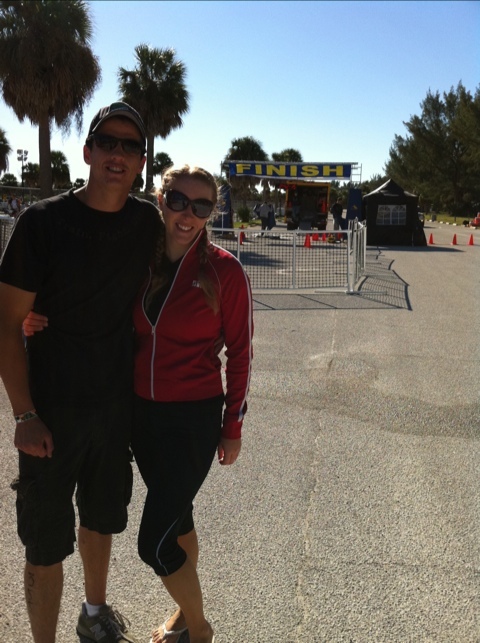 My First Triathlon – Part I – Oh, What a Feeling! There were no tears… just smiles. It was exhausting, but so very rewarding. I hit points when I doubted my own ability a bit, but in the end I kept pushing and made it through. Now, I can proudly say that I completed my first triathlon. And it was AMAZING. It’s hard to describe the rush you get when you cross that finish line and realize you just accomplished something so seemingly daunting, but I will sum it up as a feeling of strength, gratitude, satisfaction and happiness. For anyone who has been following my blog for a while, you’ll remember when I first announced my goal of completing my first triathlon. You might also remember a few bumps I hit along the way. I can honestly say though, that every bump was worth it. As the race grew closer, the challenges were a bit more stressful knowing that my deadline was quickly approaching, but I kept at it. Despite the chest cold that knocked me out for a week before the race, despite having to learn a new bike just days before the big day, despite the nerves and doubts that haunted me as I got closer, it was all worthwhile. I post more details of My First Triathlon soon, but wanted to first announce that I made it!